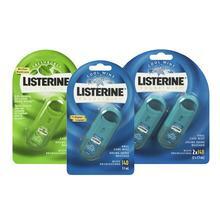 LISTERINE POCKETPAKS® is rated 4.8 out of 5 by 4. Everyday foods and drinks can linger in your mouth after meals or snacks, leaving you with bad breath. You might not realize it, but the people around you probably will. 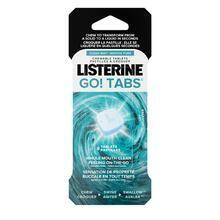 LISTERINE POCKETPAKS® are perfect for refreshing your mouth when there’s no time to brush or rinse. 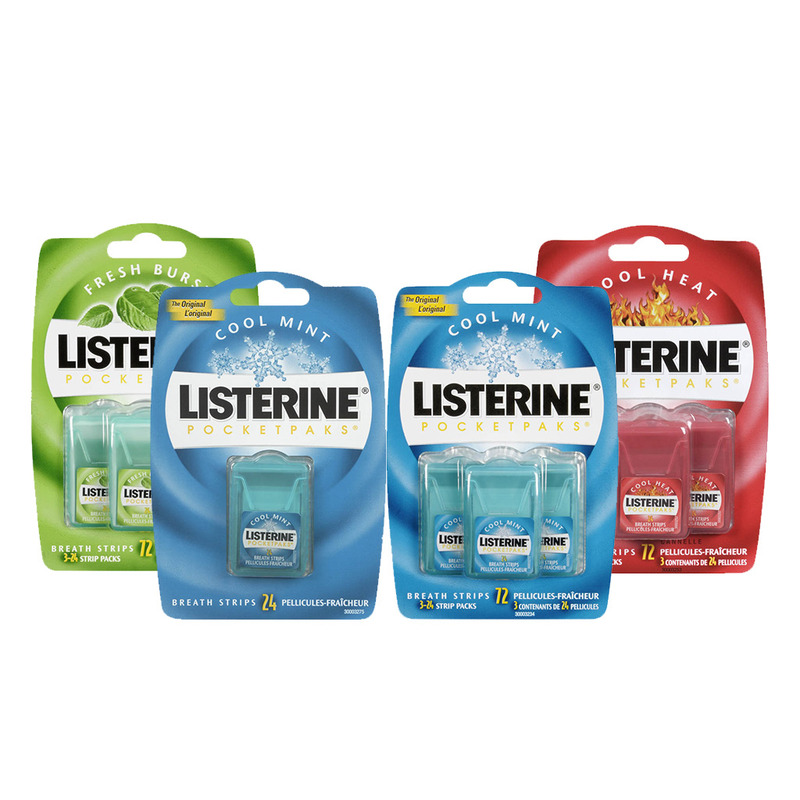 They dissolve instantly, freshening your breath by killing 99.9% of bad breath bacteria. Plus, there are three great flavours to choose from, including COOL MINT®, FRESH BURST® and COOL HEAT®. Side effects may include people getting closer to you more than usual. Rated 5 out of 5 by joto from Portable freshness! A must-have. PocketPaks may be tiny, but they can save the day! They are the perfect size to dissolve in your mouth, then swish and spit. Or, if the situation calls for more covert breath-freshening measures, break a strip in half and swirl it around in your mouth until you're ready to swallow. I'm telling you, they save the day. You won't regret taking these guys along with you wherever you go. Rated 4 out of 5 by Corrina from Great taste! 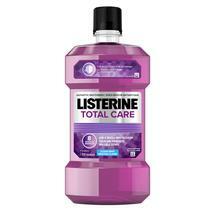 This product is wonderful ... if you ever question the freshness of your breath, pop in one of these and worry no more!